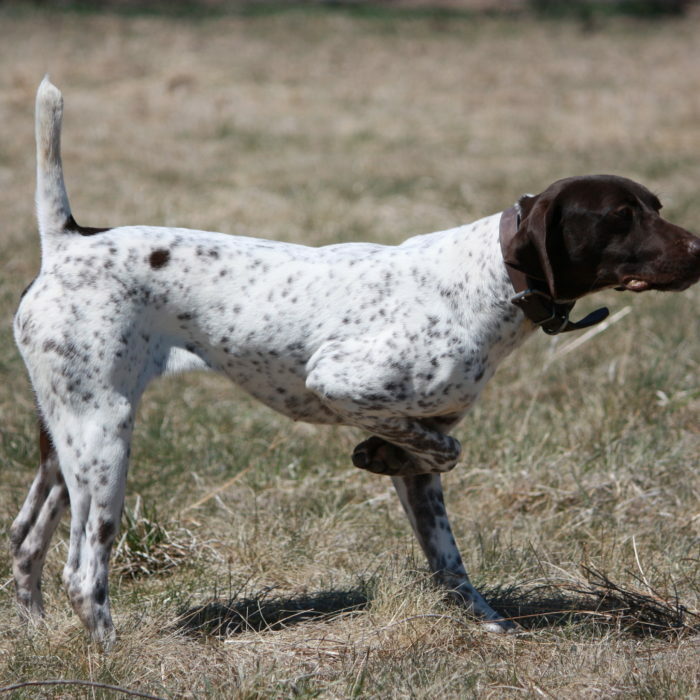 Roxy has all the attributes you could hope for in a Bird Dog. Just one glance at her photo and you’ll be hooked – if not you better check your pulse! 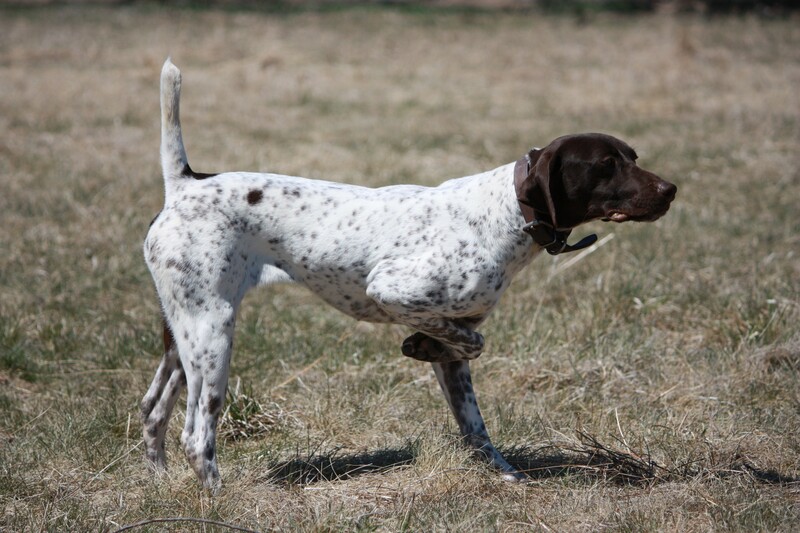 The best part is with her Field Champion Bloodlines, she has all the Pointing Intensity and Retrieving Instinct to go along with her drive, desire, phenomenal looks and confirmation. To watch her cover a field is a real treat as she has loft to her gate and moves like she is running on air. 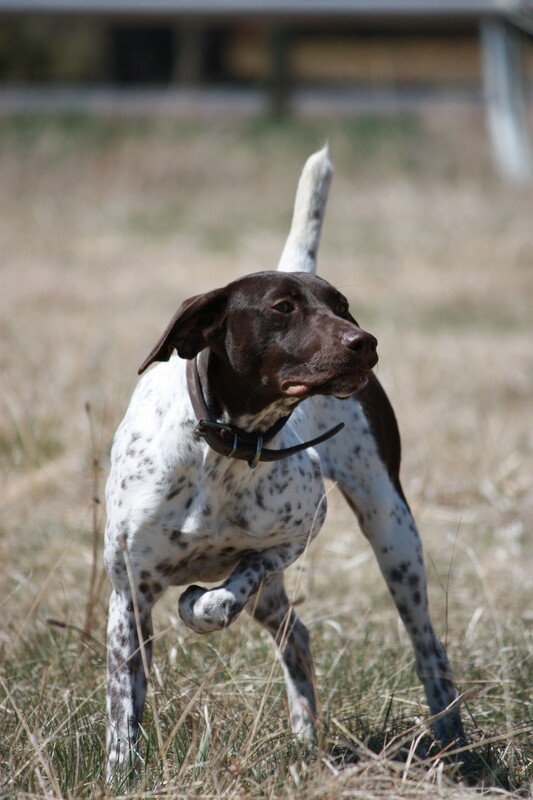 We are very pleased to have her in our guide string and extremely lucky to have her in our breeding program. 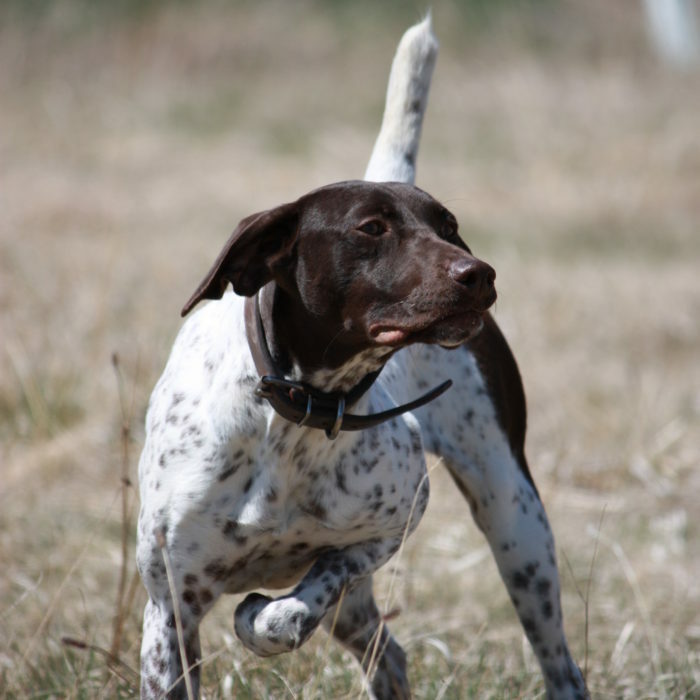 Check back for future litters from this phenomenal dog!